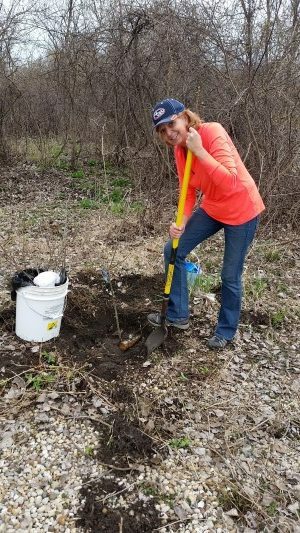 The Rock River Trail Initiative supports planting of milkweed to restore lost butterfly habitat and forage throughout the river corridor in Wisconsin and Illinois. Mary O’Toole of Lake Sinissippi (Rock River – Hustisford, Wis.) kindly forwarded photos of a Swallowtail butterfly and bee on milkweed plants at her lake home. Milkweed is a host plant for the Swallowtail, Monarch and other butterflies and serves as a critical life-cycle bridge for egg-caterpillar-chrysalis-adult butterfly.